The Posiflex range of receipt bill thermal printers offers high performance in harsh environments andas a receipt and information printer, its speedy printing satisfies crowded check-out line and promotional activities in the peak hours andto accelerate checkout process, the high printing speed will fulfill the busy request. Optional spill-resistant top cover displays thoughtful design for retailers to run their business smoothly even in the harsh environments like pub, bar, etc. 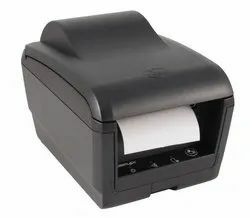 additionally, the receipt bill thermal printers features easy paper replacement and flexible deployment in the wall-mount design. The Posiflex -8800U Receipt Bill Thermal Printer is a high performance model with printing speed up to 220 mm per second. As a receipt and information printer, its speedy printing satisfies crowded check-out line and promotional activities in the peak hours. Optional spill-resistant top cover displays thoughtful design for retailers to run their business smoothly even in the harsh environments like pub, bar, etc. additionally, the AURA-8800U features easy paper replacement and flexible deployment in the wall-mount design and are widely used in White goods, Food & Beverages, Telecom, Jewellery, Department Stores, Super/Hypermarket, Flower Shops, KOT printers. Options Kitchen Bell Function, Spill resistance. The Posiflex PP-9000U takes advantages of spill- and dust- resistant features to operate in harsh environments. From now on, never worry about careless drink spill on the print or doubt about the durability of printing in outdoor dining area. To accelerate checkout process, its printing speed is up to 300 mm per second that fulfills busy request. The Posiflex PP-9000U offers wide interface options. Moreover, wireless connection and wall-mounted capabilities allow it to be deployed anywhere! and are widely used in White goods, Food & Beverages, Telecom, Jewellery, Department Stores, Super/Hypermarket, Flower Shops and IDeal for Kiosk and Toll Booth Ticket.